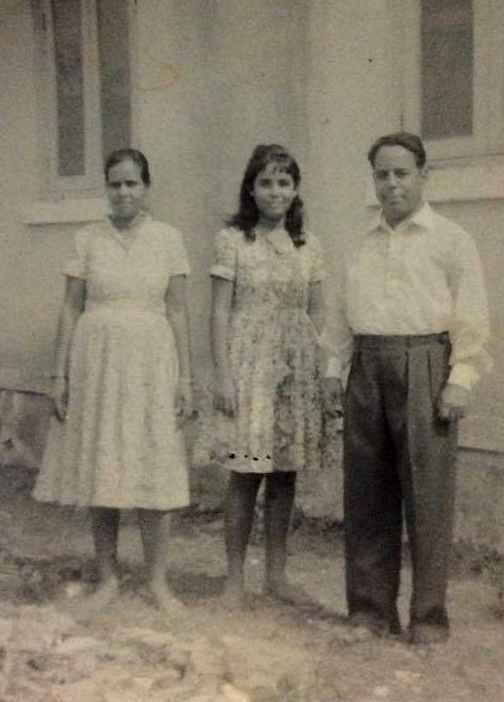 India, 1960s: My grandparents and mother in the middle. Our ‘Mygration Story’ series tracks the family histories of staff and fellows at UNU. The aim is to show that many of us owe our lives and careers to the courage of migrant ancestors. People who left their homes to build safer or better lives — for themselves and for their children. With this monthly series we want to show that migration is not an historical aberration, but a surprisingly common element in family histories worldwide. I am an Indian, born and raised in East Africa, living in Canada, and am married to an American of Polish descent. Something I have always grappled with is that although I have integrated well everywhere I have lived, I don’t feel like I fully fit in anywhere either, and I struggle to pinpoint a single place I’d call ‘home’. My parents’ generation, the baby boomers, strived to put down roots and create a better life for their children. By 27, my mother had already been teaching for seven years, was married, had a child and had moved to a new country to start afresh with her husband and son. My parents were risk-takers, which is a great source of pride for me. They met in college and decided to break cultural and religious barriers by getting married, in India in the 1970s, despite their different backgrounds. They then had the courage to move to a new country, Kenya; a place vastly different from anything they had ever known. Interestingly, my brother was doing some research on our family history and found that my great-grandfather had also moved from India to Kenya in the early 1900s. There is a long history of Indians migrating to Kenya. It is estimated that as many as 30,000 Indians (including what is now Pakistan) arrived in Kenya in the late 1890s to help build the railway. The railway was informally known as the ‘lunatic line’ because of the dangers posed by disease and lions, particularly the Tsavo Man-eaters. My grandfather and his siblings were born in Kenya, but as World War II broke out, the family moved back to India. Half a century later, my parents found their way back to Kenya, and this is where I was born. My friends were all mostly children of other migrant parents as well. We all called Kenya home, but at the same time our authenticity as Kenyans was always questioned. Then in middle school, my father was transferred to Uganda, where anti-Indian sentiment has been present since the 1970s. It stems from 1972, when President Idi Amin ordered the expulsion of all Indians from Uganda, arguing that Uganda belonged to ethnic Ugandans. All my school years were spent at international schools where the diversity of students and teachers contributed just as much to learning as the curriculum did. After learning about various opportunities I could pursue, I moved to Canada to earn a Bachelor’s degree, and later a Master’s degree at McGill University. Surprisingly, after having to work hard for people to acknowledge me as a Kenyan at home, at university I was quickly accepted as one. I used this to correct misconceptions about Kenya, and Africa in general. Of course there were some awkward moments, like the first time I was asked: how can you be from Kenya if you’re not black? Or my favourite: ‘You speak English so well? !’ I was never sure if that was a question or an observation. Either way, my English-language skills were not something I had ever thought about before. Moving to Canada, I also experienced many fun things for the first time: seeing snow, beaver tails, poutine, maple syrup, skiing, two-fours, and of course, ice hockey! However, I had every intention of returning home when I finished my undergraduate degree. But I realized two things. First, my degree in Agriculture was very Canadian-centred and so I didn’t have the knowledge or skills relevant to work in Kenya; and second, life in Canada was so much easier than in Africa – there was the luxury of never-ending hot running water and personal safety. I decided to stay in Canada and apply for Permanent Residency and then citizenship. Of course it didn’t hurt that I met my husband while I was here, either! My path to Canadian citizenship wasn’t easy though. A few years ago, I finally qualified to receive Permanent Residency. However, during this time, my Kenyan passport expired and so I had to send it off to get renewed. Unfortunately, my application for renewal was rejected on the grounds that the Kenyan consulate assumed I had dual Indian citizenship, which I had failed to renounce. However, I didn’t actually have Indian citizenship, which was confirmed when I contacted the Indian High Commission. In the meantime, I was stateless with no idea of if and when I would ever have a passport again. It took me a while to fully grasp the situation I was in because I had only ever associated statelessness with people who had lost their countries or their legal documents and were in dire situations, but here I was, working full-time, with a roof over my head, yet no country that would claim me. It took six months for me to finally regain my Kenyan citizenship. As a family of migrants, the idea of “home” is something that eludes us, but one of the perks is that we get to travel the globe visiting each other! It is a privilege to be able to do so, especially now that I am finally a Canadian citizen. My biggest joy comes from knowing that because of my wonderful new passport, I feel like I actually belong in this country where I have lived for over 10 years, and I can finally call it home. 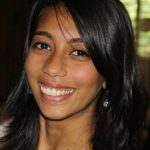 Originally from Kenya, Praem spent five years in Montreal working for the Migration and Reproductive Health Research Group, where she was part of a team that carried out several migrant maternal-child health studies. 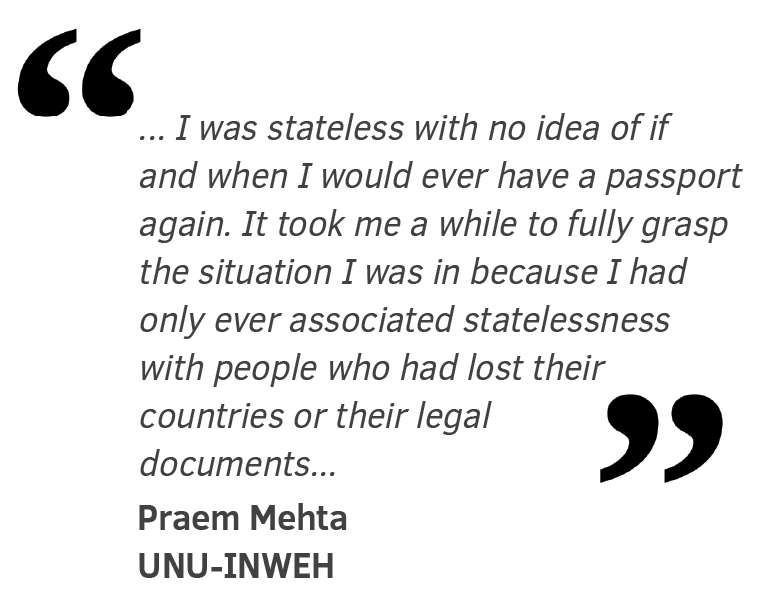 Prior to joining the UNU-INWEH team, Praem completed two internships within the UN system. She holds a BSc. in Agriculture and Environmental Sciences and a MSc. in Integrated Water Resources Management from McGill University.